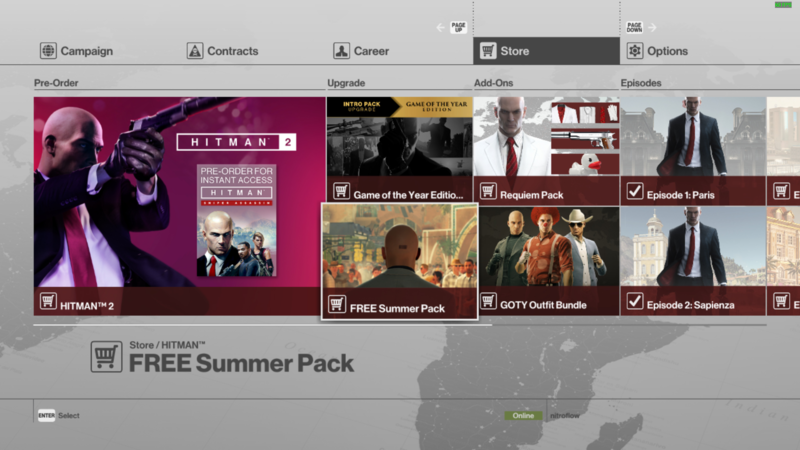 Get your best spy outfit ready, as the The HITMAN: Summer Pack is live today with Episode 3 which is free for a while. If you can’t get enough heat – join us in Marrakesh, Morroco, a city of contrasts where old meets new. Where the sun always shines and agents always… well, do what agents do best. 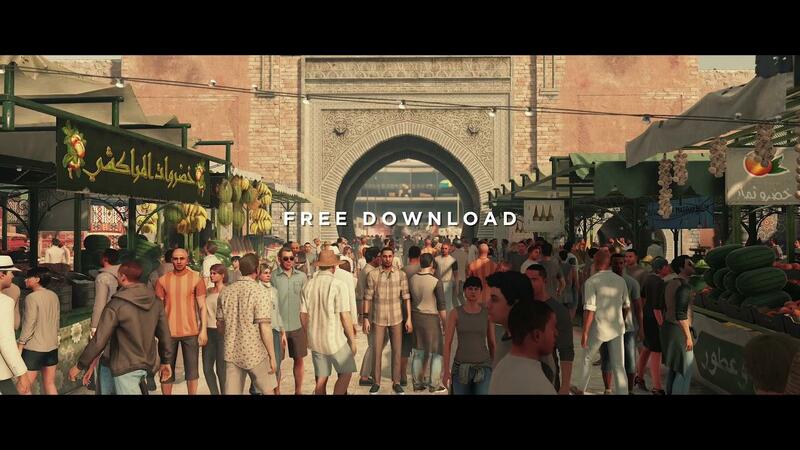 Download the HITMAN: Summer Pack and experience everything from Episode 3, including the campaign mission, Escalation Contracts, 20 levels of location mastery and 120+ challenges! All this without any additional cost, but for a limited time only, starting on the 17th of July. Easily one of my favourite Linux games, the episodes are all greatly varied with some really interesting (and tricky) level design making you be creative. I've spent so many hours playing it that it's a little ridiculous really. There was that time I spent a few hours on a livestream on a single level, mainly because I'm stupid and kept being found out and shot—funny though. Find it on Steam. You've got 13 days to try it and see what you think. No word from Feral Interactive yet on porting the next HITMAN game, I do hope sales were good enough for another as it really is entertaining. After playing episode 1 and 2 for free, I wanted to buy the remaining episodes. 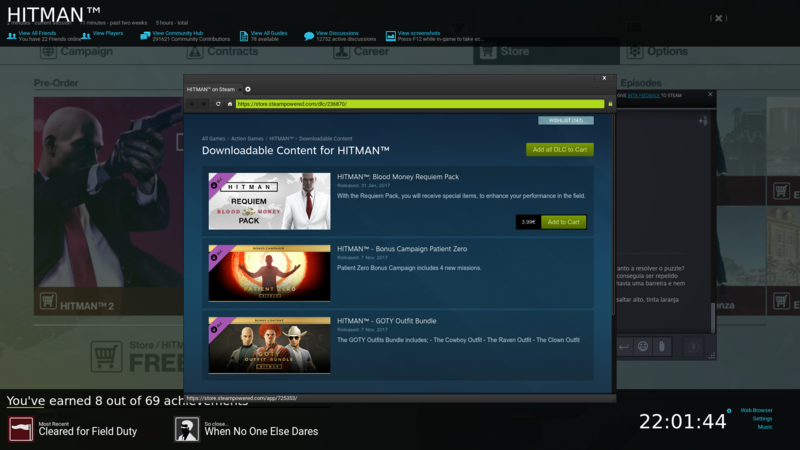 But it seems like you can't buy specific episodes for Linux. Or did I miss something? Jaromir After playing episode 1 and 2 for free, I wanted to buy the remaining episodes. But it seems like you can't buy specific episodes for Linux. Or did I miss something? I can confirm I'm also not seeing specific episodes available for purchase on steam, neither on the steam links opened on the in-game storefront. 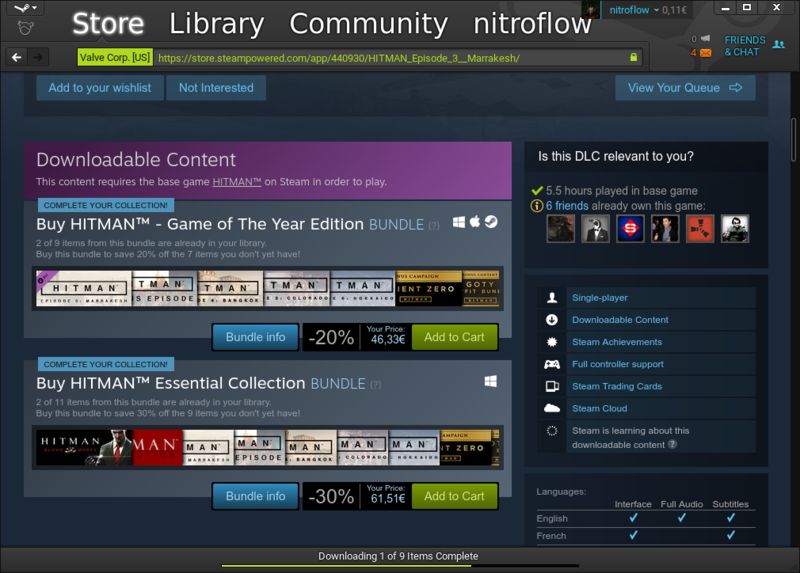 I wish I had the computer for this, but minimum includes 2gb vram and I have only 1 not even worth trying. When companies bundle stuff up, you need to hit the Bundle Info button on the store page, which gives you the individual list. I have the first two episodes that I got for free, there's no option to get the third episode for free or to buy an individual episode for that matter, I'm always directed to the episode bundles with nothing else I can add to the cart. As you can see clearly below, I'm on the episode page and the only options to purchase are the bundles. There's a play for free button on the main store page (i own it all and see it) - what happens if you press that? liamdawe There's a play for free button on the main store page (i own it all and see it) - what happens if you press that? It just launches the game that's all because the game is already installed, doesn't download anything or add anything to the owned DLC list. That works but still doesn't invalidate my previous posts.